Manco 82223 CVT Replacement Belt. OEM SPEC for ASW-MANCO 82223 DV. 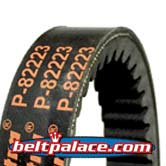 Home > CVTech - ASW CVT Drive Belts > MANCO-ASW 82223 CVT Belt. American Sportworks, Manco P-82223. MANCO 82223 DV Belt. OEM SPEC Manco P-82223. MANCO 82223 ASW-American Sportworks/Landmaster Belt for UTV/ATV. Sold as OEM SPEC P-82223 DV part. Manco/American Sportworks (ASW) 82223 CVT Belt. 82223 TALON BELT Talon 260cc ATV (8260E, 8264L), LIN HAI-NEW UTV's. 2007 Manco Talon Clutch Assembly Part #15, V Belt. 82223. 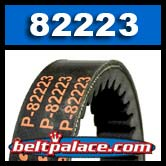 WARNING: ebay/aftermarket Scooter belts marked “856-23..” or “871-22..” are not correctly sized to replace 82223. Replace only with OEM SPEC MANCO 82223 DV BELT. LIMITED TIME CLEARANCE PRICE. ORDER NOW!